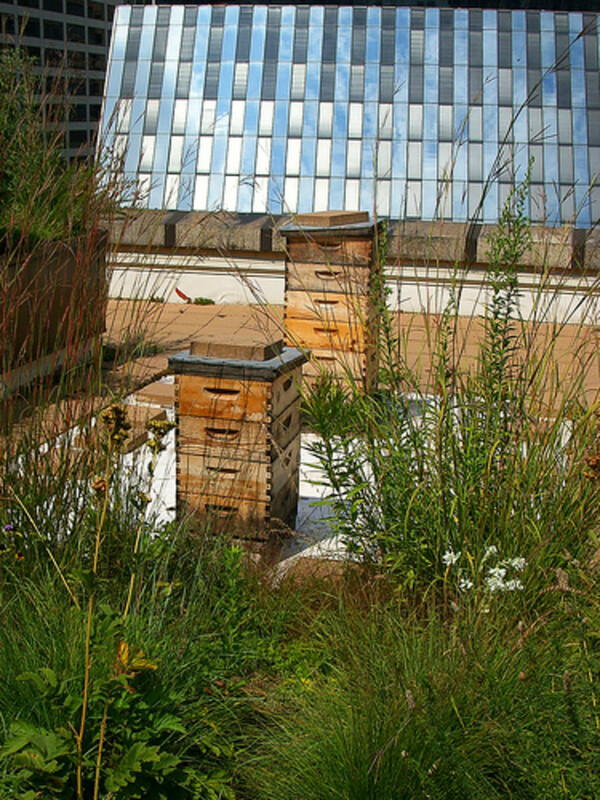 Beekeeping in an urban area is possible. As interest in beekeeping has grown, cities and towns across the United States, most noticeably New York City, are dropping old ordinances restricting beekeeping and passing new ordinances to make it possible. If you have always wanted to be a beekeeper, but thought that you couldn’t, because you live in town, think again. 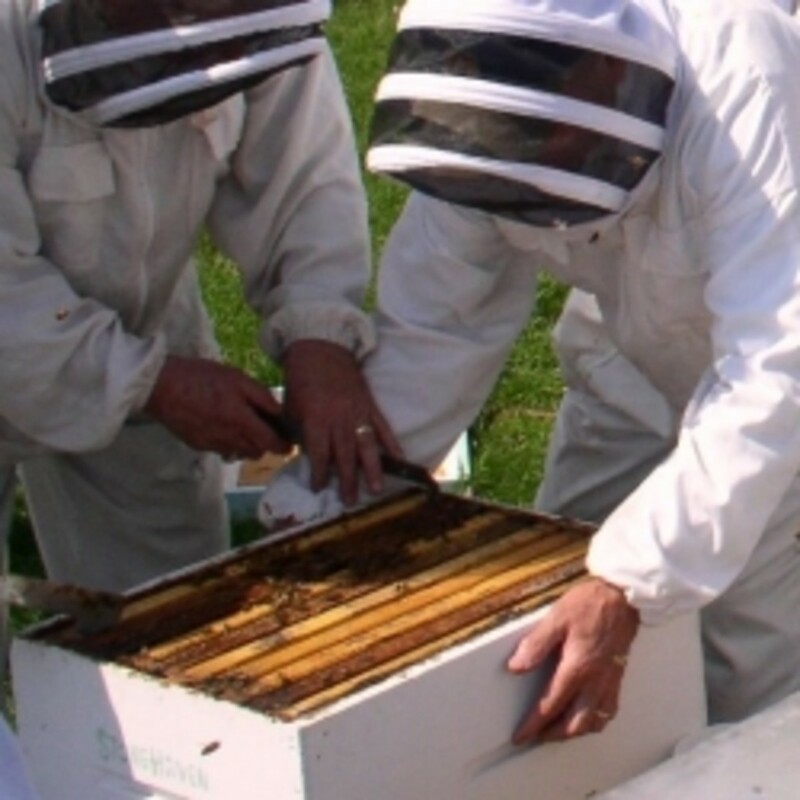 With a few special considerations, beekeeping can definitely be in your future. Can Bees Survive in a City? Not only can bees survive in an urban environment, they can thrive. From talking to other beekeepers, it seems that bees in urban areas often outperform their rural cousins when it comes to honey production, perhaps because many landscaping plants in urban and suburban yards are good nectar sources for honeybees. The first step for any aspiring urban beekeeper is to check your local zoning code for regulations pertaining to honeybees. Most municipalities have their zoning code online. Zoning codes can be complicated to read. One section refers to a table, which refers to another table, which refers to a list of definitions. After five minutes of wading through the confusion, you are going to be tempted to pick up the telephone and call your local Department of Planning and Zoning and ask what the regulations are pertaining to beekeeping. Don’t. Before I was a commercial beekeeper, I was a commercial real estate broker and I spent a considerable amount of time reading zoning ordinances and talking to zoning officials. What I learned is that most zoning codes are so complex that even the zoning officials get confused about what they say. Also, beekeeping is not something that they get asked about every day. They don’t have time to look it up, it sounds vaguely like something that might not be permitted, and therefore, it must be illegal. Trust me on this one. Take the time to dig through the zoning code yourself and figure out what it says. You may find that keeping bees is not mentioned in the zoning code at all, which I would understand as a green light. Remember, sometimes it is easier to ask for forgiveness than permission. Some of the newer ordinances being passed around the U.S. have specific guidelines that need to be followed, such as the number of colonies allowed and the distance that they must be from a property line, if beekeeping is specifically allowed, so much the better. Should I Ask the Neighbors If It’s Ok to Get Bees? This is a tough one. Well, ethically speaking, it’s not that tough, of course you should ask your neighbors, but this assumes that they are rational people. Many people have a completely irrational fear of bees. Most of these people know very little about honey bees and can’t distinguish a honey bee from a yellow jacket, or a bumble bee. Unfortunately, it is difficult to combat irrational fear with reason and fact. Whether you decide to ask your neighbors, or not, the best approach is to keep the beehives hidden and your beekeeping activities low key. I am a commercial beekeeper, I keep my bees in a rural environment, and I have a commercial liability insurance policy specifically for beekeepers. However, I have kept bees in a suburban environment, at my own home, and I admit that I never once checked my homeowner’s insurance policy to see if there were any special stipulations regarding bees. It would be worth checking. 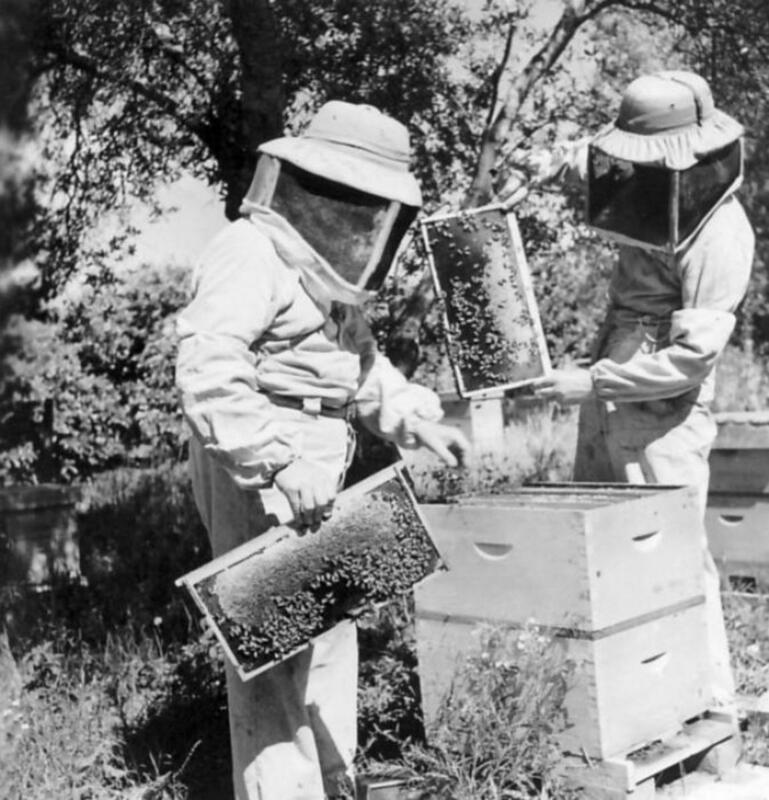 Recently, several states have passed laws that protect beekeepers from liability lawsuits. I helped work on the passage of beekeeper liability legislation in one state. Our research indicated that the threat of liability lawsuits was more imagined than real, but exempting beekeepers from liability is something that states can do to help promote beekeeping and recognizes that the presence of honey bees benefits the public and is not a threat to public health. Some states, like West Virginia, require that a beekeeper follow a set of best practices in order to qualify for the liability exemption. Other states, like Tennessee, simply exempt beekeepers from liability, except in the case of gross negligence. Check with your state Department of Agriculture to find out what laws are in place and what, if anything, is required in your state. How Much Room Do I Need To Raise Bees? You don’t need a certain amount of room to keep bees, other than a place to set the actual hive. The bees are going to range out for a couple of miles in every direction. What you need is a quiet area where the hive, or hives will be unobtrusive. Remember out of sight, out of mind. Rather than thinking in terms of a certain amount of area, think in terms of flight paths. The entrance to a beehive can be a busy place as foraging bees take off and land. This activity can extend out from the hive for several yards, just a few feet from the ground, as bees leaving the hive gain altitude and the returning bees descend. You will need to orient the hive entrance so that bees won’t be bumping into pedestrians and neighbors. Also, having a tall fence, or hedge, in front of the hive will force the bees up and over people’s heads. Once the bees are up, they tend to stay up. The site of a beehive can draw attention, some if it negative. Some people take perverse delight in molesting bees. Kids, in particular, seem to love to throw rocks at beehives. While beehives are traditionally painted white, they don’t have to be. Paint your beehives any light, neutral color that blends in with the background. It’s not a bad idea to keep them inside a fenced area. Managing a colony of honey bees in an urban environment is like managing a colony anywhere else, but there are a few areas to which the urban beekeeper needs to pay particular attention. This probably causes more problems with neighbors than anything else. It is very important that you provide your bees with a constant source of water. A bee colony needs water to survive. If you don’t provide it for them, they are going to get it somewhere else, like your neighbor’s pool, bird bath, or dripping garden hose. Just about any kind of container that will hold water will work as a bee waterer. Place sticks, or other floats in the water so that the bees have something on which to land and don’t drown. Don’t let your bees run out of water, especially in dry weather. Swarming is the method by which a colony of bees reproduces itself. Every beekeeper needs to practice some form of swarm control, but it is particularly important for the urban beekeeper. As every beekeeper knows, swarms, having no hive to defend, are quite gentle and pose no real threat to anyone. However, to the non-beekeeper, several thousand bees clustered on their mail box looks like a dark cloud of death. No swarm control method works one hundred percent of the time. Sometimes your bees will swarm, despite your best efforts. Approximately half the bees and the old queen will leave the hive and land somewhere nearby in a big cluster, while scout bees range out looking for a new home. This is when your terrified neighbor will call. Be responsive. Drop whatever you are doing and go catch those bees. If you can’t get there immediately, call a beekeeping buddy who can. There are always beekeepers around who will be happy to go get some free bees. Most bee clubs keep a “swarm list” of beekeepers who want to catch swarms. The important thing is that your neighbors will recognize that you will take care of any bee related “problems” that come up. 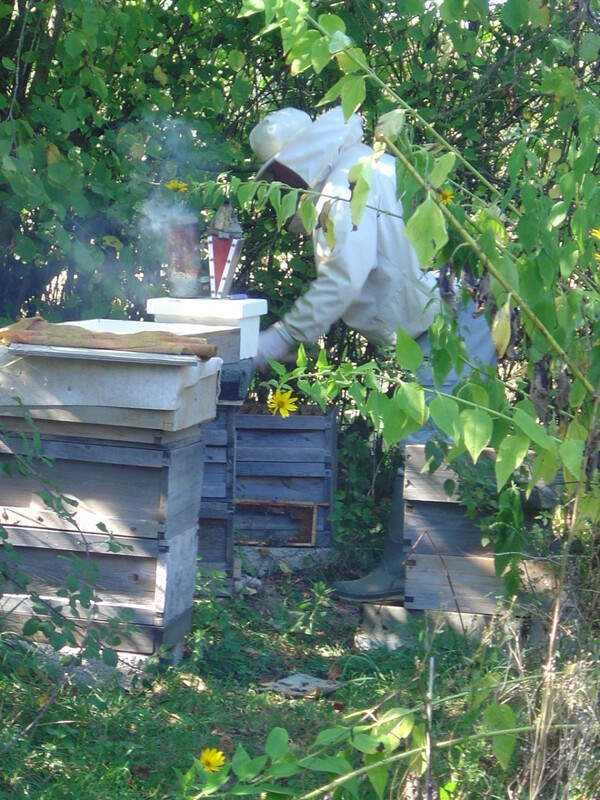 The best time to “work” a beehive is in the middle of a warm, sunny day. 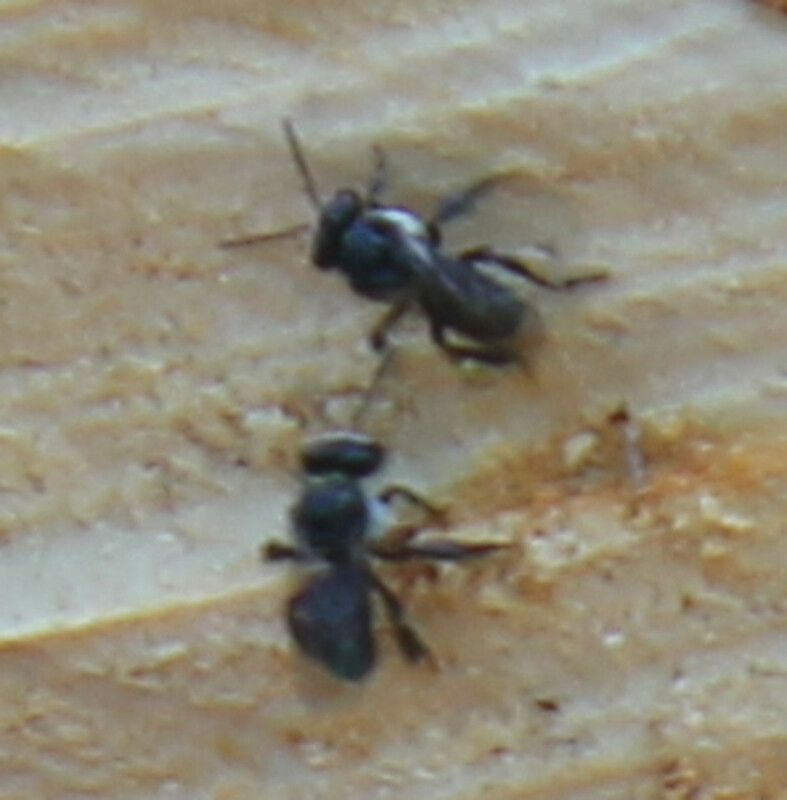 A large percentage of the colony will be outside the hive, foraging. They will be less defensive, and fewer bees will get in the air around you. Fewer bees in the air means less chance of disturbing neighbors. If your hives are near a property line, don’t work your bees while your neighbors are outside. Smoke has an amazing ability to calm bees, probably because it covers up the alarm pheromone, but a lot of new beekeepers hesitate to smoke their bees. It’s not going to hurt them. Smoke is the beekeeper’s best friend. Some strains of bees are more defensive than others. If a hive shows signs of being particularly defensive, re-queen it. A queen is marked by putting a little dab of paint on her thorax, usually with a paint pen. Mark your queen so that you know the origin of the queen in the hive. This is particularly important for those who live in areas where the more defensive Africanized honey bees are present. It is important to note that the best line of defense against Africanized honey bees is lots of colonies of European honey bees. Nothing helps neighbor relations more than sharing an occasional jar of honey. Giving away a few jars every year will build goodwill and help people see your bees in a favorable light. I have never kept bees on a rooftop, but I think that it could be a great place. I would place the colonies near the edge of the roof with the entrance facing out. In northern climates, during winter, special provisions might need to be made for wind breaks. A rooftop beekeeper will need to be especially careful not to carry bees into the building. Often after working a hive, there will be a few stray bees hitching a ride on the beekeeper. Careful use of a bee brush and removing bee clothes before entering the building will keep the bees out of the elevator, or stairwell. Urban beekeeping is a great way to connect with nature without leaving the city. By carefully considering a few things like flight paths and following a few simple best practices, the urban beekeeper can keep both the bees and the neighbors happy and enjoy a wonderful hobby. One of the first decisions that the beginning beekeeper must make, and often one of the most confusing, is the size of the boxes and frames to use for hive bodies and supers. Several options are available. Weight, efficiency, and convenience are the. I've been chased by bees. I think it would be brave to set them up with so many near your home. Great hub on beekeeping! There is a lot of great information for new beekeepers. As a former Development Review Manager for a number of county zoning departments, I have to take issue with your advice about not contacting the zoning department about beekeeping (or anything!). If the employees can't figure out the zoning code, how will the layperson? These departments are here to help, they know the codes best, and they will put an answer in writing for you...just ask. As for "begging for forgiveness" after-the-fact, please don't! You loose all credibility and will do beekeeping a disservice in the long run. If you work WITH your agency, you might find an ally and partner for some great beekeeping guidelines and support for the hobby. Really! Thanks for the great info! I'm thinking of adding bee houses to our garden, and this hub was a super place to start. Absolutely fascinating. I think I will be living vicariously through your hubs! This is a great detailed How To. I wish I had the time to pursue bee-keeping. They are such neat social insects. And unlike the pesky ant, the other social insect, they are so beneficial to humans.Voted up and very very awesome! Robin-You can usually pay a small fee to have your queen marked before she is shipped to you, $1.50 or so. Marking a queen is no big deal, I marked several today, but causes beginners a lot of angst because they don't get many chances to handle queens. You can practice on drones since they don't sting. Use a different color though. Otherwise, you will keep spotting drones and not the queen. As far as Italian queens being easier to distinguish goes, it's true since they are generally light colored. However, don't let that keep you from getting carni's, if that is what you want. Color isn't that big a deal. Thank you, missolive. It does sound like you are in a good situation to have some bees. It's a lot of fun. Thanks, Wib. Do queens usually come marked or is that something that the beekeeper usually does? I heard that the Italian queens are easier to distinguish, so that would be a benefit of getting that type. Having honey with my oatmeal right now. I have so much more of an appreciation for it, and I can't wait until it's my own! Thanks again for all your advice! Hi Wib - Hey, this is pretty cool. I really like this idea. I'll have to seriously talk to the hubby about this one. My mom is my neighbor and our other neighbor is an avid gardener. This sounds like a win win situation. You have laid this out very well and I am certainly intrigued to check out your other beekeeping hubs. Keep em' coming. You can mark a queen by putting a little dab of paint on her thorax, usually with a paint pen. Marking her makes her easier to find and you know that she is your original queen and hasn't swarmed. You offer more great information for the new beekeeper, thank you! I have already spoken with most of my neighbors who are excited about the honey! What do you mean by marking your Queen?